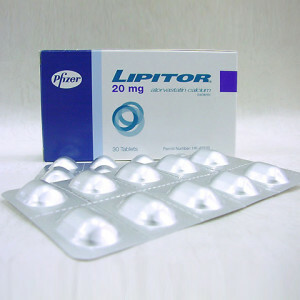 Lipitor contains the molecule Atorvastatin and is a member of the statin group of drugs. Crestor contains a molecule known as Rosuvastatin and is also a member of the statin group of drugs. Lipitor is used as an adjunct to diet for treatment of dyslipidaemia (high cholesterol and triglyceride levels) and coronary heart disease. It is also used to stabilize cholesterol plaques and prevent strokes through its anti-inflammatory properties. Lipitor works on the cholesterol levels by inhibition of enzyme HMG-coA and thereby reduces cholesterol and increases uptake of LDL (low density lipoprotein, also known as bad cholesterol) cholesterol by the liver cells. This will lead to decreased levels of LDL cholesterol in the blood stream. In addition to this, it bring about a reduction in triglyceride levels and minimally increases HDL (high density lipoprotein, also known as good cholesterol). Crestor is used in cases of a condition called hypertriglyceridemia where there is an isolated increase in triglyceride levels. It helps in slowing the progression of atherosclerosis, and primary dyslipidemia. It is indicated in primary prevention of cardiovascular disease in individuals with no clinically evident heart disease. Crestor is very useful in reducing the risk of stroke, myocardial infarction (heart attack) and in prevention of cardiac arterial revascularization procedures like coronary artery bypass grafting (CABG), commonly termed as bypass and angioplasty or stent replacement. These properties are not seen in Lipitor. Lipitor is known to interact with grapefruit juice and red yeast rice which is not the case with Crestor. Crestor users have no dietary restrictions. Crestor is approved to slow the progression of atherosclerosis, while Lipitor is not. As each and every drug has its own side effects, both these statins have adverse effects but the most dangerous one is rhabdomyolysis (breakdown of muscles). It is one of the most dreaded complications. Eventually, it may lead to acute kidney failure due to myoglobinuria (removal of broken down muscle protein via urine). Lipitor produces more adverse effects over extremities and can produce swelling of feet and hands along with excruciating joint pains. As against that, Crestor may produce depression or insomnia. This side effects should always be considered while prescribing these drugs to patients. A person already having a history of arthralgia (joint pains) should never be given Lipitor while a person showing signs of depression should never be given Crestor as they will further increase those complaints. Other adverse effects of Lipitor are headache, weakness, insomnia and dizziness. Likewise, Crestor may produce side effects like muscle pain, tenderness, weakness and fatigability. Contraindications to the drugs are acute liver disease like hepatitis, pregnancy and breastfeeding. Rosuvastatin is more potent than atorvastatin and hence circulates for longer durations in the blood stream. Another difference is that Crestor is available in minute doses like 5, 10, 20, 40 mg whereas Lipitor is available in 10, 20, 40, 80mg. This shows that Crestor is more potent and can be beneficial even in smaller doses but Lipitor needs to be given at relatively higher doses. Crestor is also known to be beneficial and has been shown to be helpful in cases where there is low cholesterol but high levels of CRP (C reactive protein, an indicator of inflammation in the body). Summary: The drugs should be chosen as per the history and risk factors the patient poses. Both drugs are statins and help control lipids in the body but have varying potential side effects in varied systems. Hence, over-the-counter medication is strictly discouraged for both. Difference between hyoscine and hyoscyamine. rachita. "Difference between Lipitor and Crestor." DifferenceBetween.net. February 11, 2014 < http://www.differencebetween.net/science/health/difference-between-lipitor-and-crestor/ >.